Eventually, Clare falls for the son of the preacher who performed her exorcism. After following many clues, she learns about a secret cult in her hometown practicing a sinister form of magic. 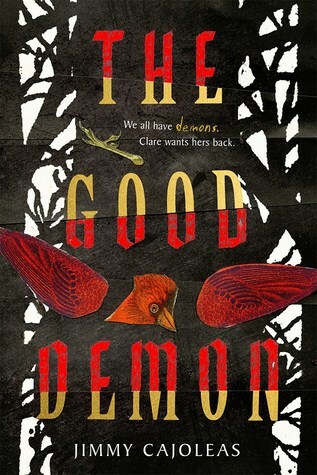 After a visit to the enigmatic cult leader, Clare is forced to make a choice to be reunited with her demon. I liked the premise for this story. It’s very Southern gothic, with mystery and some fantasy thrown in for good measure. The tag line mentions True Detective (the first season, of course) as an inspiration and the plot is very much in that same vein, which I liked as well. The bad part is that it took me nearly two months to read this book, and that was no accident. I’d read 20-30 pages, lose interest, come back a few days later, repeat. Perhaps if there had been more character development I would have been more engaged, more history of the town. A lot of characters and situations here seemed thrown together and happenstance. Hmm.